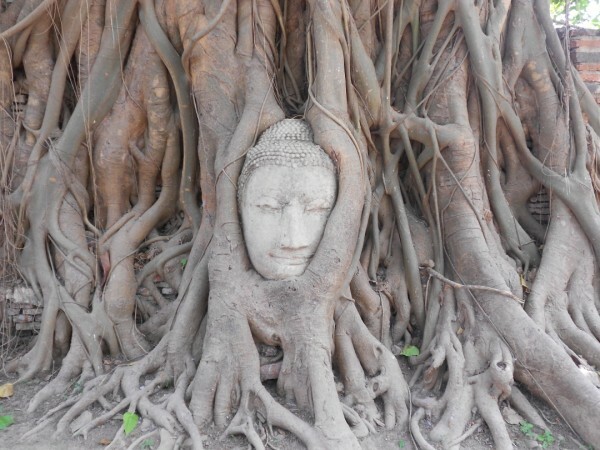 Ayutthaya, the once ancient Thai (Siam) capital, sits just 1 hour north of Bangkok. It is an easy 2-hour train ride away and a major tourist attraction. In 1991 it was declared a UNESCO world heritage site due to its's magnificent ruins and cultural importance. This photo was taken at wat Maha That in the center of the city. The entrance is 30 Baht and well worth it. We spent several hours exploring this temple as well as the adjacent temples that all fall within walking range of one another. The Buddha head the tree is probably one of the most iconic photo ops of the area and for good reason!